“GOLDEN ROBOT” is Robotics Solution Provider(RSP). They are both Expert System Integrator(ESI) & Authorized Distributor(AD) of various robotics goods. 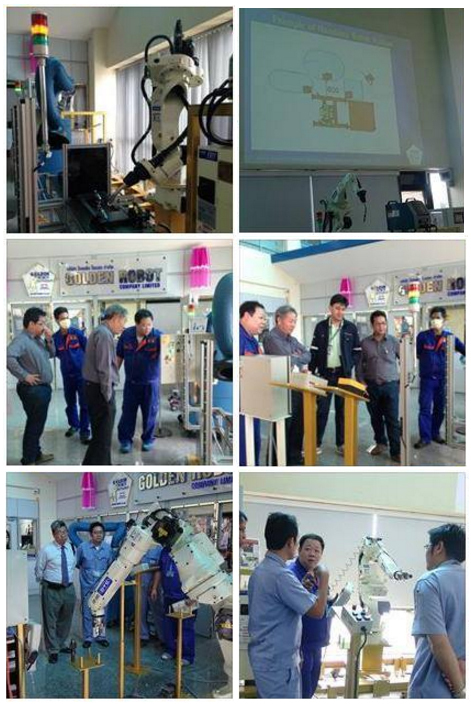 Golden Robot, a recent but fast growing RSP company located in Rayong Thailand, which is Eastern Economics Corridor Area (EEC). 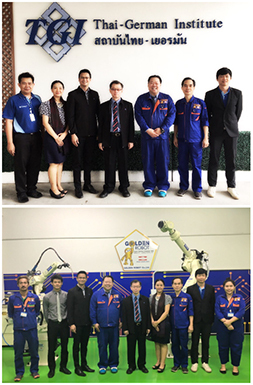 Golden Robot is managed by Dr. Kitti Suwanratchatamanee, who is also responsible for all system engineering designs such as Robotics, Electronic, Electrical, Logic, Mechanical, Program and Simulation. 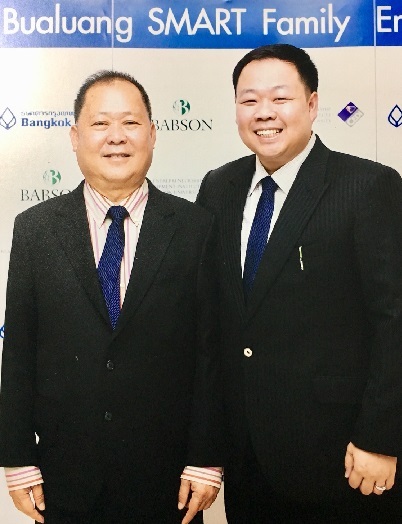 Dr. Kitti is the eldest son of Mr. Bandhit who is the Rouam Charoen Group's President (R.C.Group). You will find his background, researches, publications, awards and etc. The 1st created showroom is located in our head office (1st floor of the RC-Building at Banchang, Rayong) In this showroom we have installed the welding robot systems for demonstrating the automatic welding and safety systems as well as the other various robot applications to our visitors. Such as, Handling, Cutting, and etc. The 2nd created showroom is located in the Thai-German Institute (TGI) at Amata Nakorn Industrial Estate, Chonburi. In this showroom we have installed the 7 Axes welding robot and a large size handling robot to provide the training to our customers and interested people. This place also count as the training center and the research center with TGI called "The robot work-cell creating center"
Golden Robot is the most advanced authorized distributor of OTC DAIHEN and NACHI Robots. Both OTC and NACHI are originally from Japan. They are the main suppliers of advanced welding equipment, consumables and robots in Thailand as well as Southeast Asia, Middle East and Oceania. 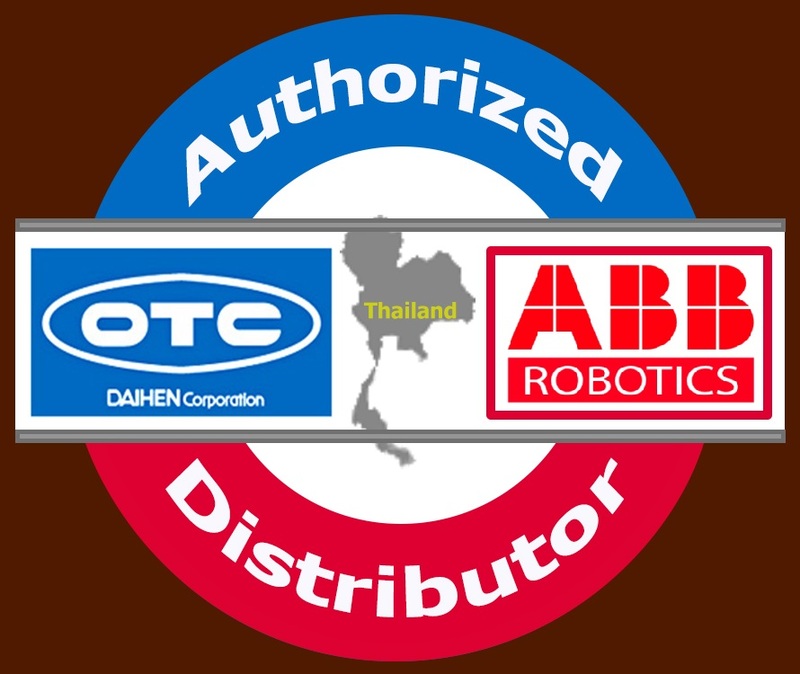 OTC-DAIHEN Asia (OTC-DA) has operated a factory in Thailand for over 25 years. R.C.Group is a group of 17 companies, which is more than 700 employees major authorized distributor of industrial equipment throughout Thailand for over 35 years such as Dewalt, Stanley, Kobelco, Daito-Seiki, Atlas Copco and etc. Moreover, Golden Robot is also an authorized technical system partners and distributors of many quality products related in robot field, such as Vision sensors for objects recognition from Baumer, Safety devices and sensors from SICK, Jigs/fixtures and end-effector components from De-Sta-Co, Welding fume and dust extraction machines/systems from Nederman and etc.